This from my friend Meagan! we actually stayed at two Airbnbs. I can really recommend is the Sant’Eustacio il caffe dal 1938. Super authentic Italian coffee place, pretty close to the Pantheon. You order and pay, get your ticket and then sort of shove your way up to the counter on the other side and give your ticket to the barista. 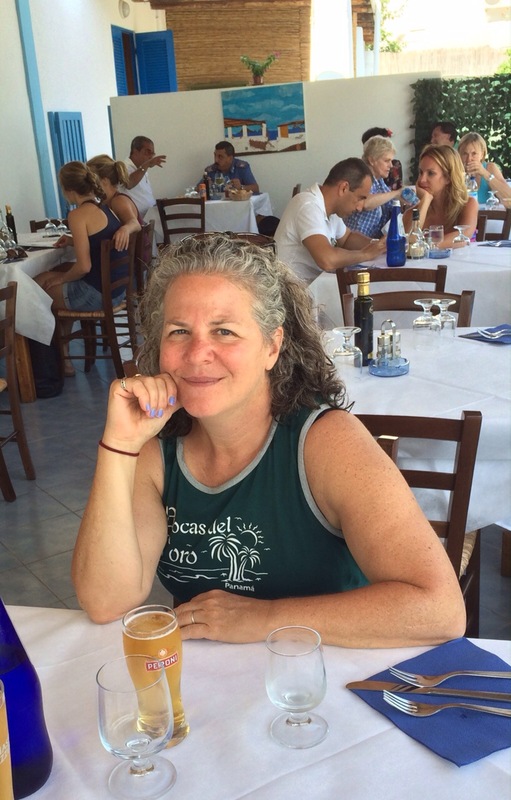 Testimonials from friends using takebetsywith you in Rome and LA: love it!! Always love when friends report that they’re using tips from this blog while they’re on their trip. That’s why I bother to write this darned thing! it’s been almost a week since we returned from Italy to Des Moines and now we are barreling down Interstate 80 en route to Chicago and Iowa in autumn is beautiful. 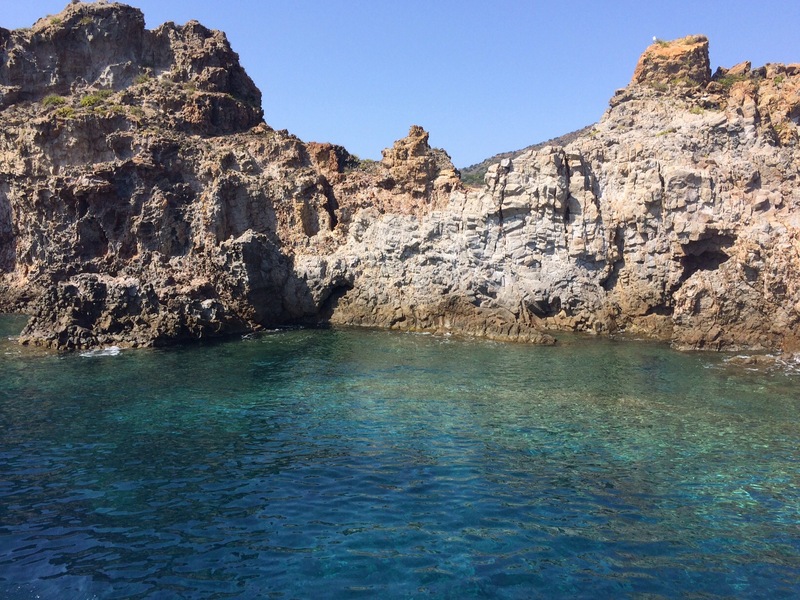 Not Amalfi Coast, Mediterranean Sea, Aeolian Islands, Siricusa, Rome beautiful but still Beautiful. At 7 am, just east of Des Moines, the white grey frost clung to rolling fields of rust colored corn almost ready for harvest and green grass, punctuated by the occasional pristine white farmhouse, worn barn, grazing cows and horses. Sure there were occasional garish billboards and the metal sheds of industrial ag but they were easy to overlook. — while we are on the topic of advance pay, booking train tix online in advance was cheaper (judging from some of our fellow passengers accounts of their tix price) although not necessary. 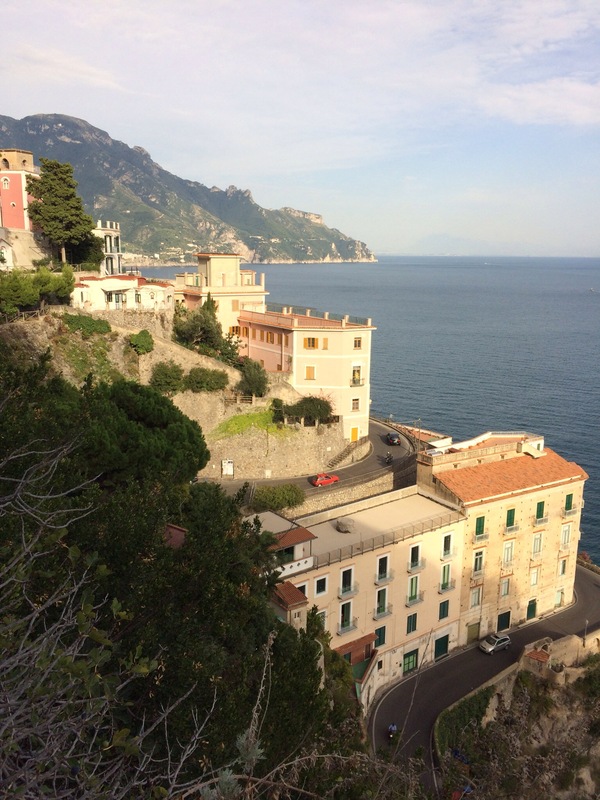 — Go to the Amalfi coast off season , which late September apparently was not. — Remember that many a little b&b prefers to be paid in cash (or does not even accept credit cards) which can require a little advance planning since we could only take out 250 euros per day from an ATM. — we saw people along the way who looked like: Robert Morley (complete with the plummy British voice), Mr Magoo, Peter Postelwaite, Cecily Strong, our friend Jamie. — Favorite fellow travelers: Canadians from Winnipeg and Toronto, Sweet boys from Berlin, a funny gay couple from Covent Garden, another nice Berlin couple and a funny Australian couple, the dishy Italian church vestments salesman from Naples and a nice Croatian graduate student whose dissertation compares Julius Caesar’s selling of his Gaul campaign to the US presidents Selling of Vietnam and Iraq invasions. 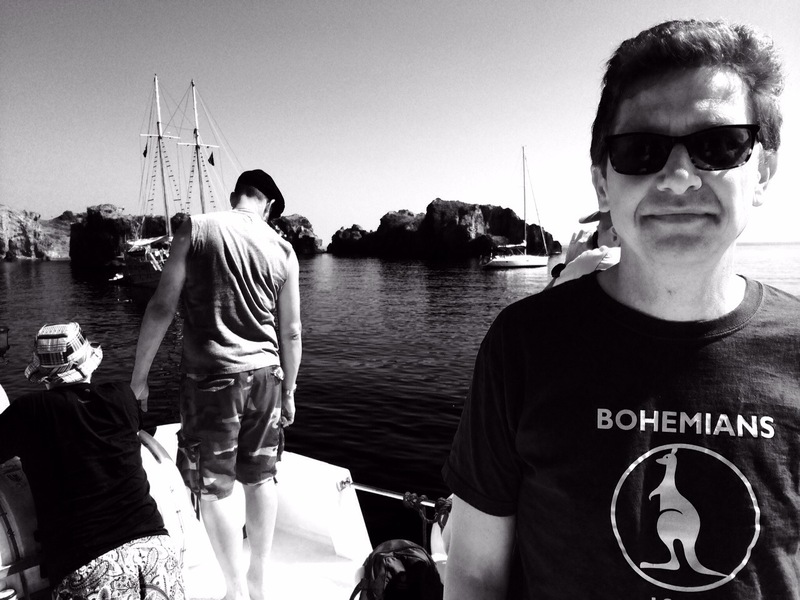 – Interesting/favorite hosts- Vivien, the beautiful former Milan runway model now running an agritourismo is southern sicily; Teresa, our warm hostess in Catania, Diana Brown the plucky South African in Lipari. Good management at our first hotel in Rome, less so our second. 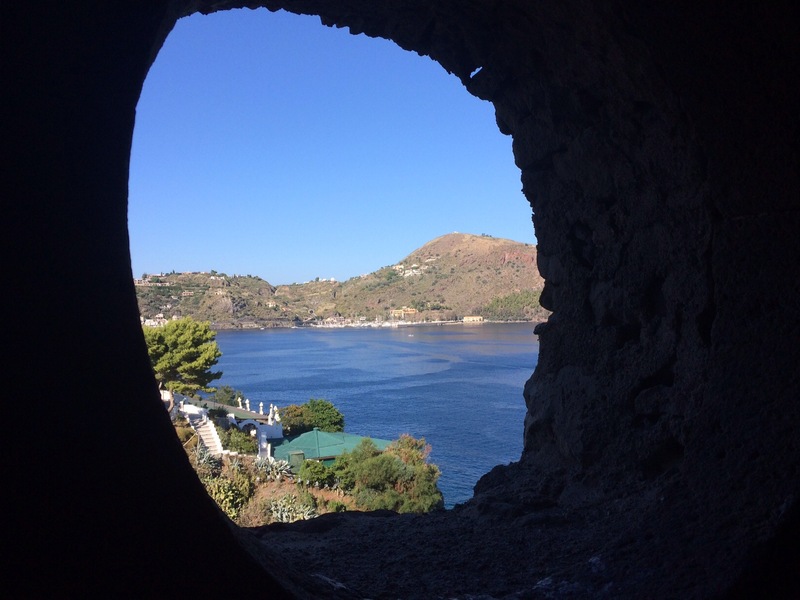 – best meal: hard to say maybe the Kasbah in Lipari, the Ravello restaurant, the famous salumeria in Rome, the pasta on the island of Panacea (that whole day boating around the aeolian islands was golden). When we were here two weeks ago, I walked until my feet were blistered. This time my feet are battle hardened but my calves ache so badly they feel bruised. but I do not regret walking myself silly today, all over this city. And we will probably walk some more tonight because who can resist? The beauty of this city is irresistible. 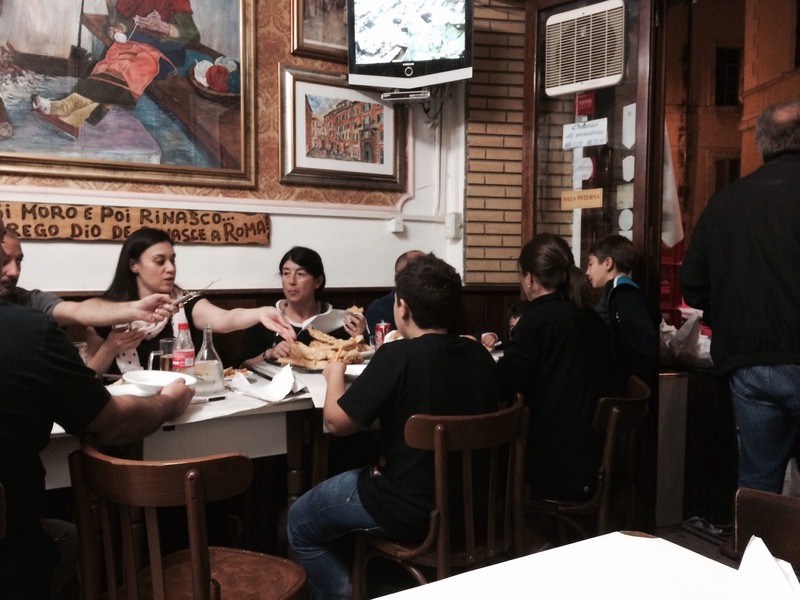 We returned to an area we visited last week, in the central Storico and this time went to the less formal bakery of the salumeria we ate at last week — Roscioli il Forno where we had superb pizza slices served over the counter by a guy who hacks away at the pizzas with an exuberant chop. We had some pizza slathered with pesto and anchovies and tomato sauce; and another piece with ricotta, grilled eggplant, basil, tomato sauce. The place was packed for good reason! Up the street, I splurged on an amazing handmade leather purse, sold to me by a young woman who makes the purses with her father at a shop called Ibiz (via dei chiavari 39 ) I thought she might know a good tie maker and so she did, a nice craftsman in a little shop in Trastevere called La Cravatta (via di s. cecilia 12) near our first hotel (that we never noticed). Dirck got a beautiful tie. His splurge. 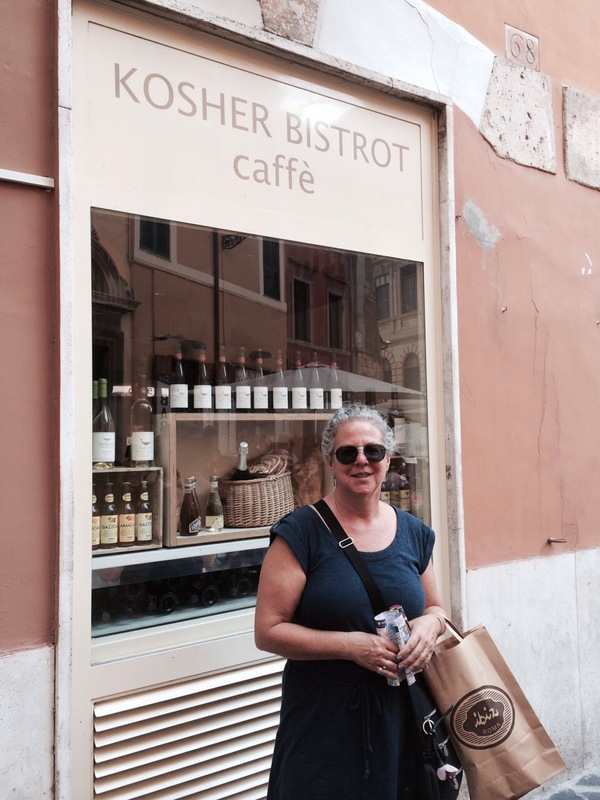 my new friend, the purse maker, also told us how to get to the neighborhood of Monti, which was a lovely walk that began in the former Jewish ghetto which still has kosher restaurants and a gorgeous synagogue which was packed (and this is how I learned it was Yom Kippur, my bad.) We had fun rambling around Monti, looking at the smattering of small boutiques and design shops around via Urbana, stopping for a fruit smoothy at a place called The Full Monti (get it?) and at an organic gelato shop. We are staying tonight at Villa della fonte near the Santa Maria Transtevere church. More expensive and may be noisier tonight but the place we stayed at last week was booked.tonight we had a totally new Roman dining experience featuring food that seemed more English than Italian but the battered cod fillets served at Dar Filettaro, a little hole in the wall, were selling like hot cakes all night, primarily to large Italian families who ordered plates of the fish piled high along with plates of fried zucchini and white beans. The cod was too salty for me but the batter was hot and crispy and the scene itself was delicious. 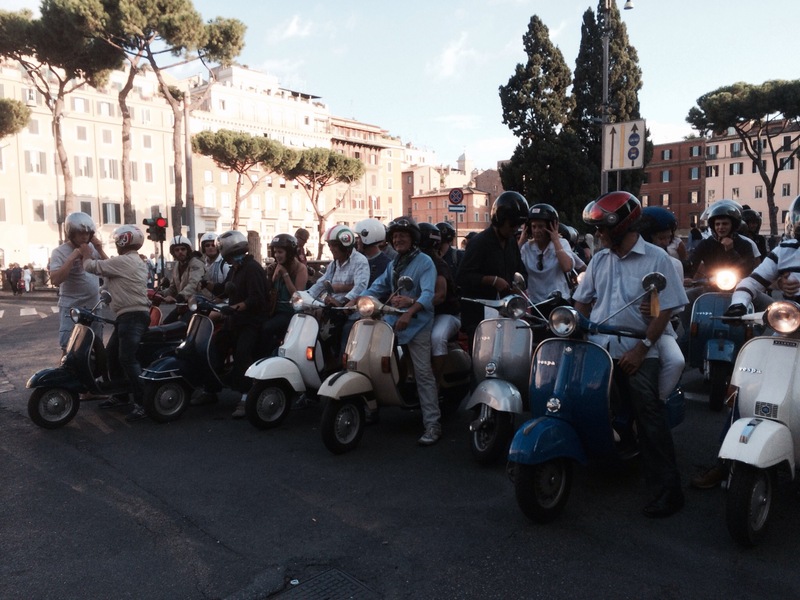 We finished the night with some granita and wandered through centro Storico and Trastevere on a perfect Saturday night, the sky bright and clear, light breeze, amazed by all the people everywhere and the street performers and the great circus of Rome. We will be back! 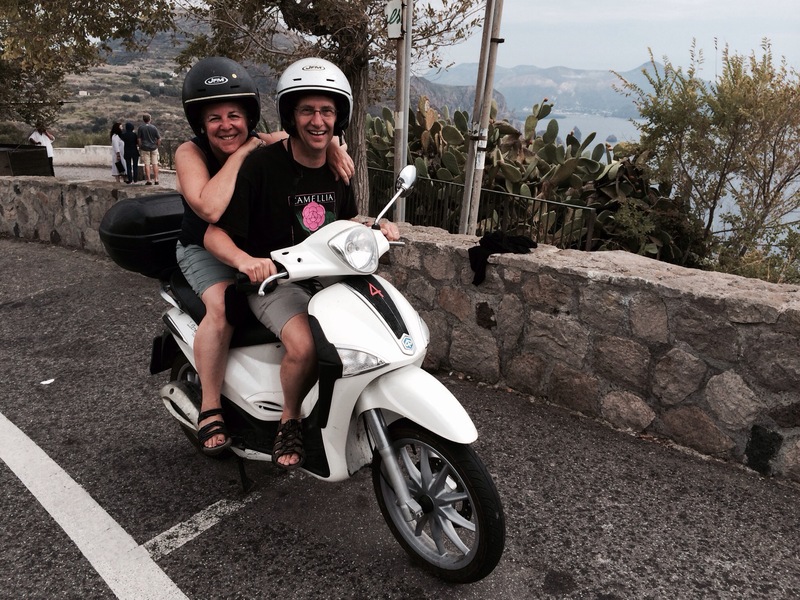 We couldn’t deal with the possibility of more Amalfi Coast-like crowds in the Sicilian resort town of Taormina so we decided instead to take a very scenic drive south on ss185 though the mountains and small lovely hilltop towns north of Mount etna. Very glad we did. Lovely quiet towns and spectacular scenery with fog, rain, sun adding to the atmospherics. 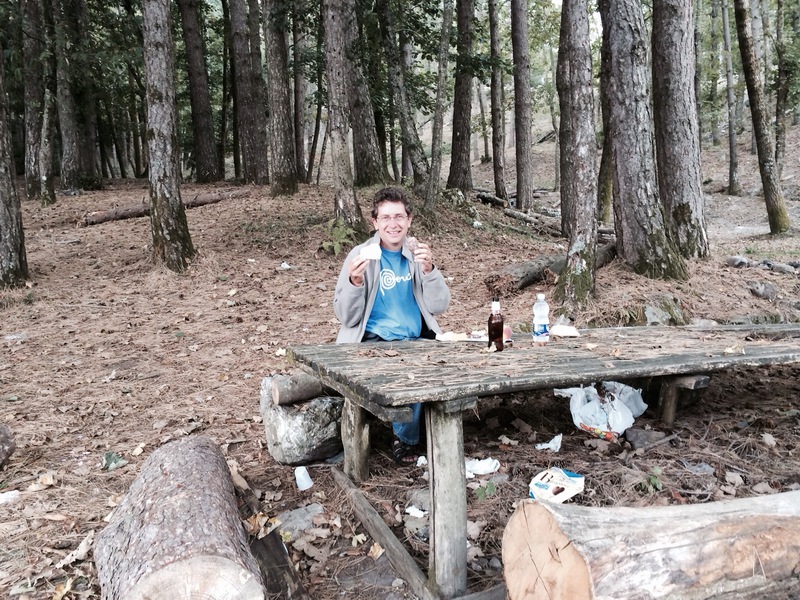 We stopped in one town, Novara di Sicilia, to pick up some of its local cheese and salami, then found an unlikely picnic table, very rustic, on the edge of a winding pass in a pine forest (the table was made out of pine trees). 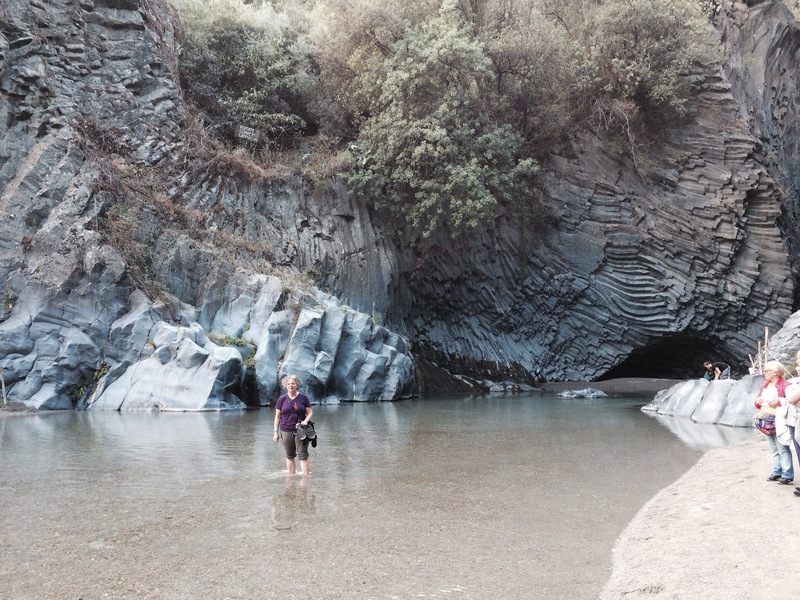 We also chanced upon a gorge, near francaville di Sicilia that was pretty impressive, even to this gorge-snob (which I became thanks to Ithaca, NY.) and we got caught behind a funeral procession of people walking solemnly behind a hearse in castiglione di Sicilia another hill town with amazing views out across the mountains. Unenthusiastic about repeating our past near-disaster experience trying to drive to our b&b Crociferi in the central historic district of Catania, we returned the car early at the airport and took a taxi to the b&b (even the taxi driver was unclear about how to get to the b&b thanks to all the one way streets and pedestrian zones. He dropped us off several blocks away. 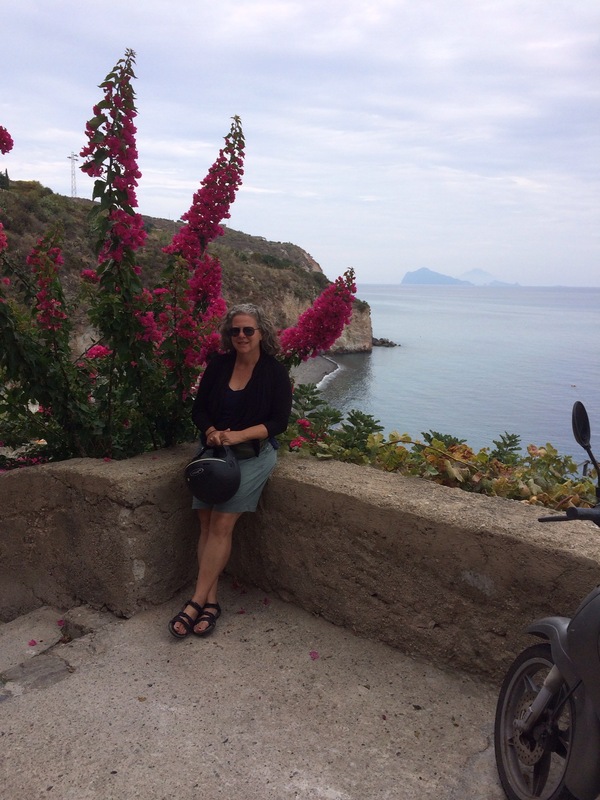 We had another gorgeous room at the b&b, an old villa, and were greeted warmly by Teresa, who sent us to a nearby family trattoria, Nuova Trattoria del forestiero ( via Coppola 24) that had fantastic Sicilian fare but very slow service. I had pasta Norma (with eggplant, tomato sauce, basil and what was supposed to be ricotta but was a sharper hander cheese. Still great. Dirck had veal scapolinne, in a wine, lemon sauce. Delicious. Surprising how affordable veal is here. And I wish I could cook eggplant the way the Italians do. it’s velvety soft, full of flavor and moisture..
Teresa’s husband Mario drove us to the airport at 6:30 am for our return flight to rome. Again very glad not to have the car. when we next visit, I would like to spend more time in Catania and Naples. Both seemed really lively and interesting, with grand architecture and lots of bohemian street life. 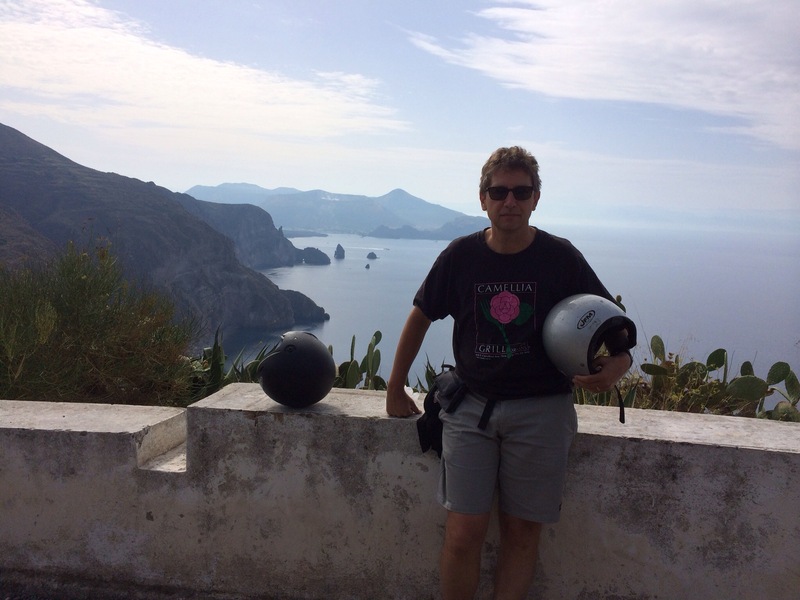 Motor scooter day on Lipari! After about 10 minutes of sharing a motor scooter on the winding mountainous road of this small island, I released my death grip around Dirck’s waist and just enjoyed the ride and of course the scenery. There is one main road that runs around the island and it’s narrow, with lots of steep switchbacks. fortunately there wasn’t much traffic once we got out the town, except for the occasional whizzing past us scooter or car. Only encountered one tour bus and the public buses look more like vans. 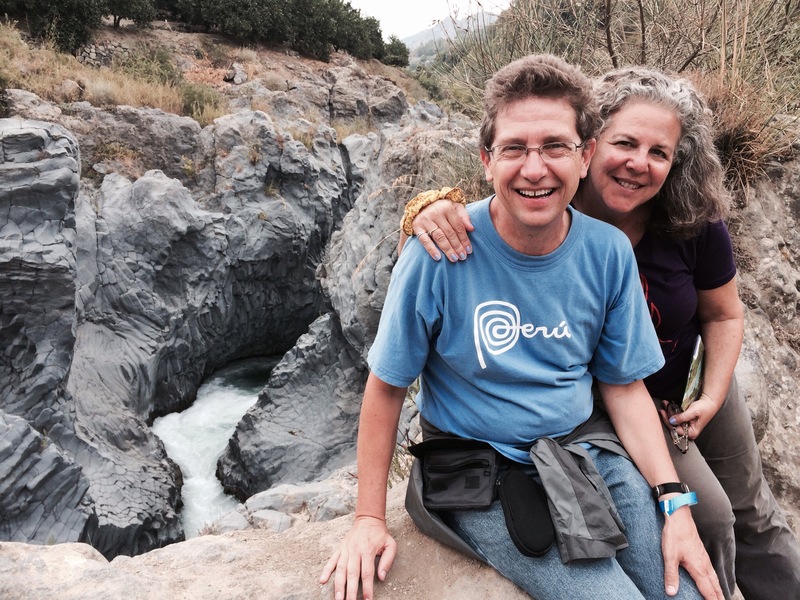 we stopped for a hike on the southwest side of the island to a gorgeous somewhat secluded beach (Valle mare). 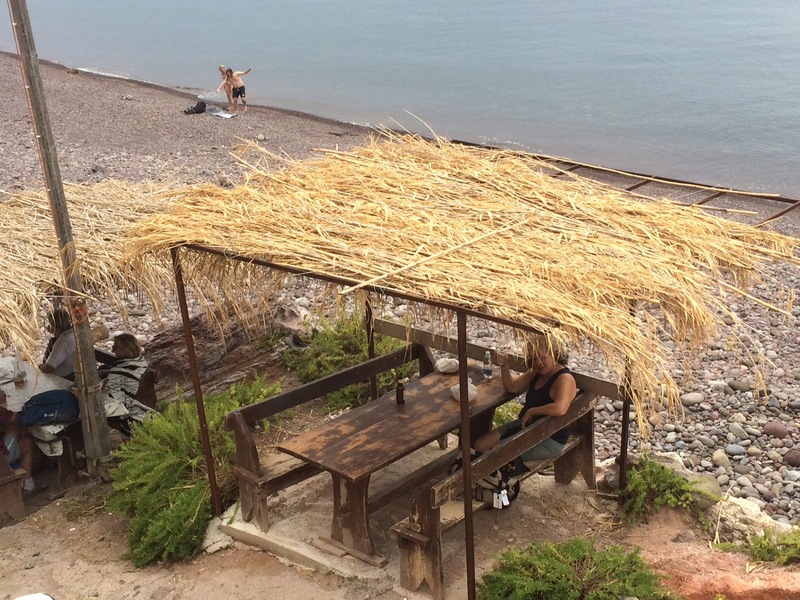 After a longer rougher hike than expected, we arrived at a tiny bar on the beach with two tables with a thatched roof– one just waiting for us. perfect place for our picnic, especially since it started to drizzle. I had some of the local amber colored wine (yes, I am drinking wine. A little) and Dirck had a beer. 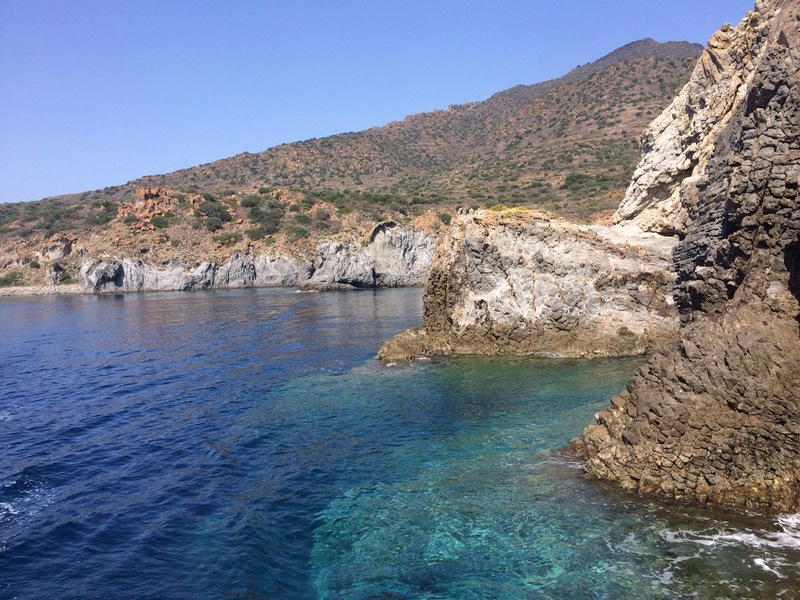 We had a spectacular view of the rocky shore and mountains leading down to it and other rock formations and actual rocky islands in the sea. A handful of people were swimming and we met a few hikers on our way back up but overall very quiet. Lovely. We stopped twice in the smaller town, Canneto, known for its popular beach but we liked it because it was much less touristed than where we are. We stopped twice at the same little bar and had gelato (Dirck) and granita (me). Rental was from Bruno, nice guy who seemed amused by our adventure.